Residential agreements are of various types and come into use for a large number of reasons. These could be used while renting out a residential property or for any other type of transaction. No matter what the need for such agreements, there is a residential agreement form for each purpose which makes the drafting of such agreements easy. These Agreement Forms give the user a clear idea of the format and the content to be included in such contracts. 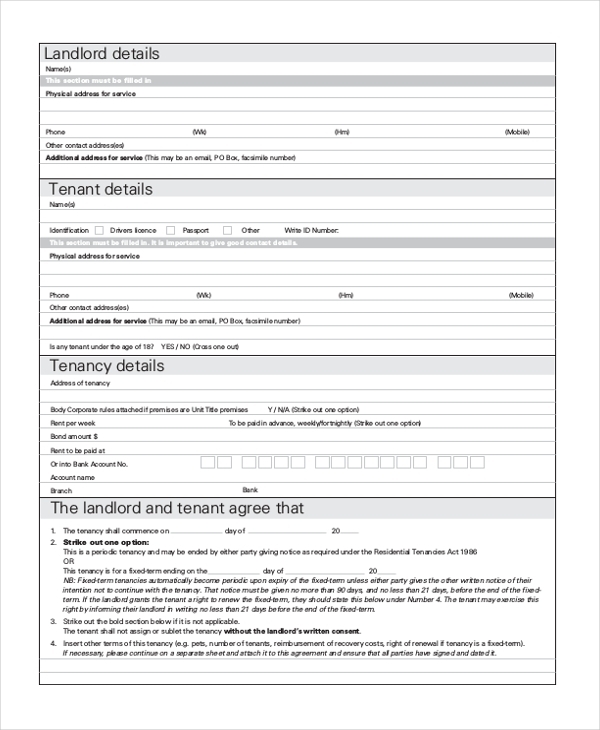 This form can be used by the owner of a residential property to draft a rental agreement when offering his property on rent to a tenant. Both the owner and the tenant are required to sign this agreement which elaborates on the clauses that each party should adhere to. You may also see Consulting Agreement Forms. This is a standard design of a residential agreement which can be used by any person irrespective of the type of residential property owned by him. This form gives him an idea of the format to be followed and the segments to be included in such an agreement. A residential house owner who wishes to lease out his property on rent can use the aforesaid form to draft an agreement to be signed by him and the tenant. With a proper format and essential segments in place, this form helps the user to draft an agreement within a few minutes. You can also see Consignment Agreement Forms. 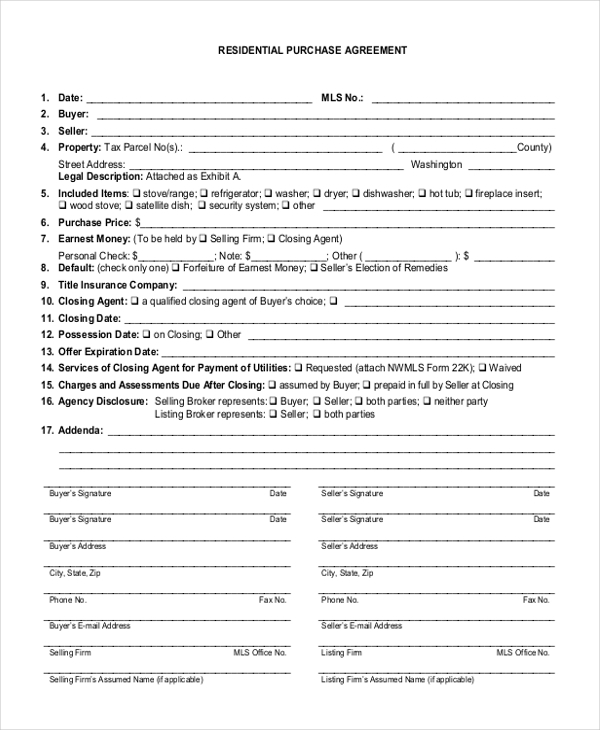 When the owner of a residential property offers his property on rent with an idea of renewing the lease every month, he can use this form to draft an agreement that would help him and the tenant into getting into a legal contract. The form gives him an idea of how to put in the clauses for such a transaction. 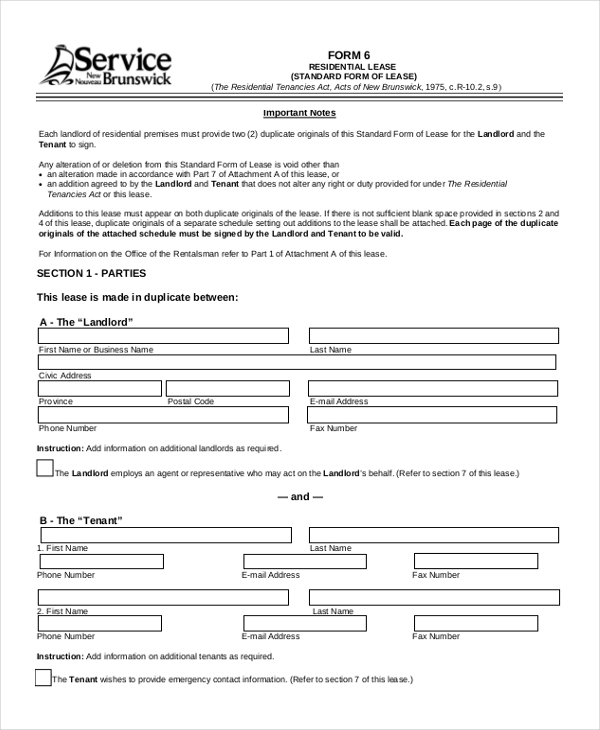 As the name indicates, this form can be used by a person who wishes to sell off his residential property to a buyer. This form gives him a clear idea of the right way to include the clauses that will guide the whole transaction as well as the two parties involved in it. you can also see Purchase and Sale Agreement Forms. A residential agreement form need not always be long spun and complicated. It can also be a concise and precise one with just the essential details like details of the parties, financial aspects, terms etc. So, the user who wants to draft such an agreement can use the aforesaid form for the purpose. 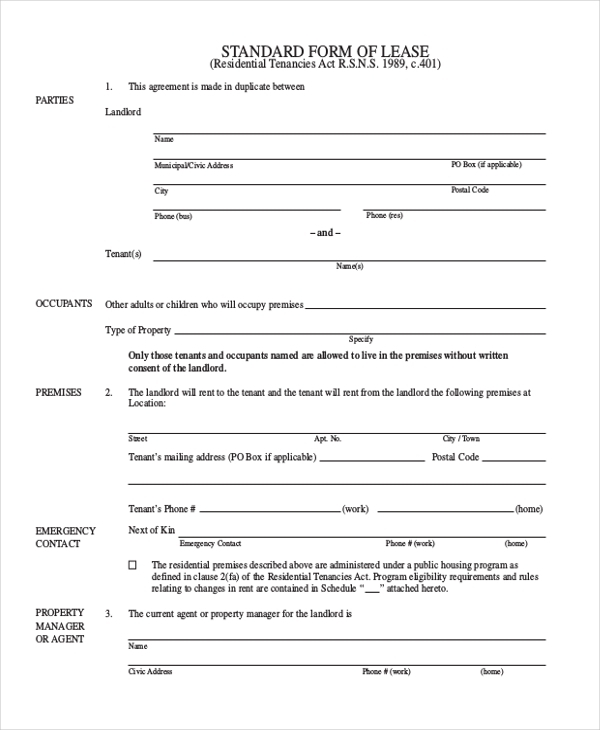 This form can be used by the owner of a residential property to rent it out to another party. The form comprises of the format to be followed when drafting such an agreement and the clauses that should be included in such a document. 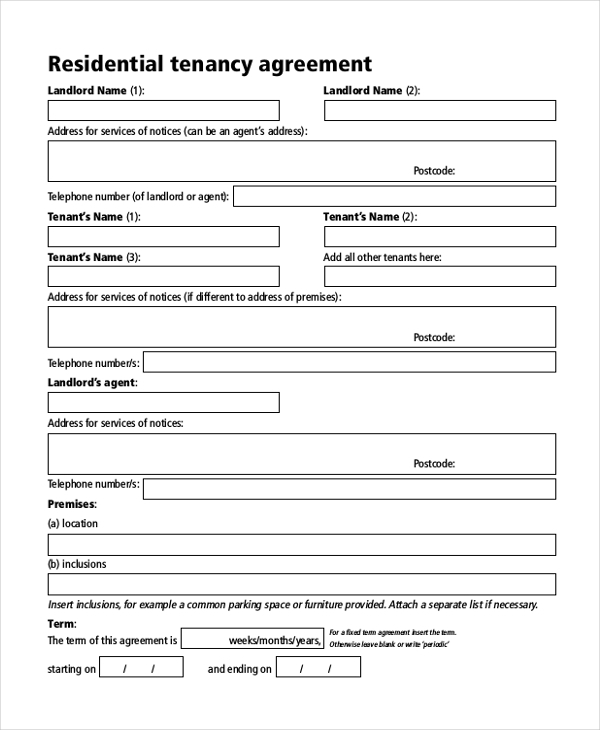 This is a standard design of lease agreement and can be used by any person who wishes to rent out his residential property on lease to another person. This form comprises of the standard clauses to be included in the document which can be further altered as per the user’s requirements. 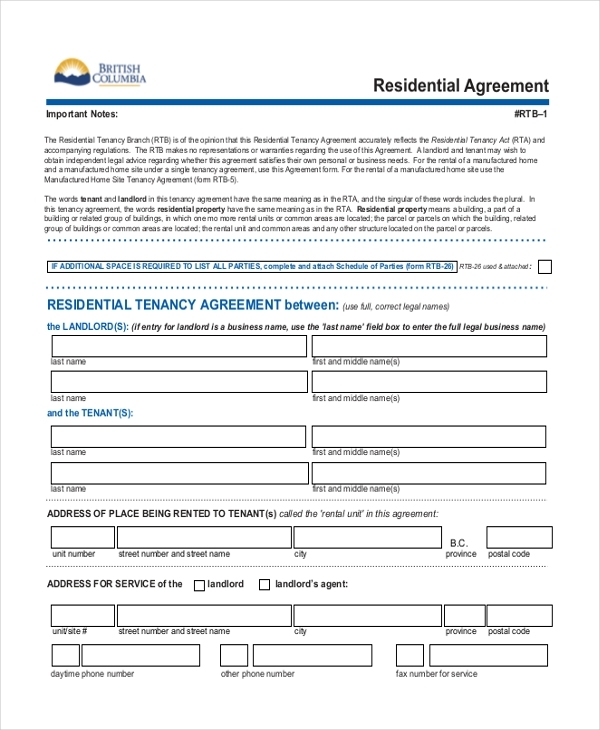 You may also see Month-to-Month Rental Agreement Forms. What are The Benefits of Using Residential Agreement Forms? Need some help to draft a residential agreement? 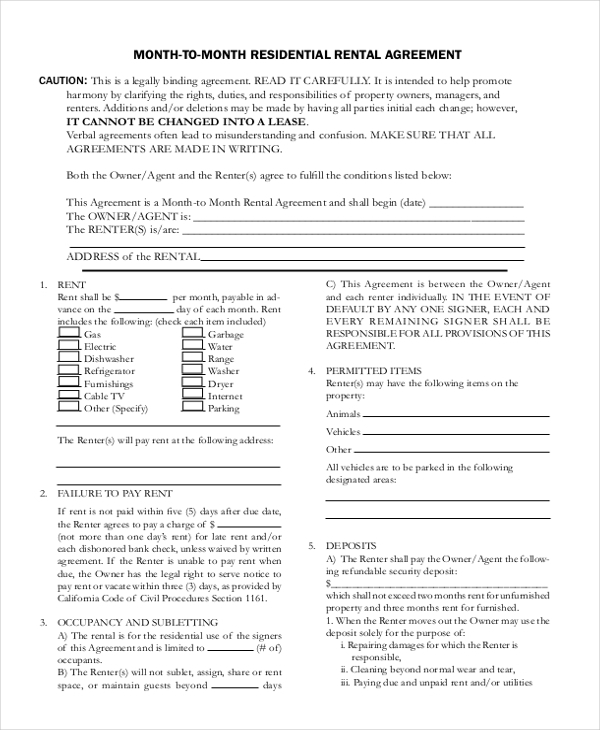 Check out our selection of residential agreement forms and find the one that would be apt for your need. Available in MS Word and PDF format, these forms are compatible with all devices and thus an ideal choice for all. 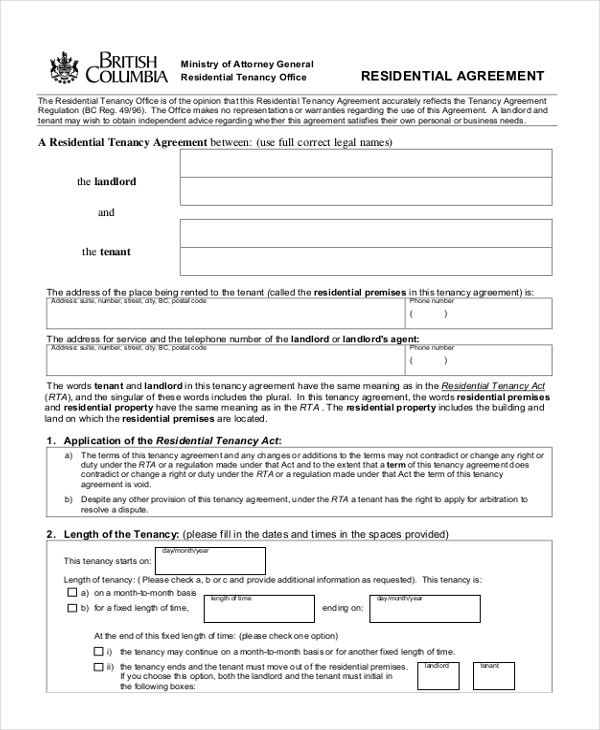 Easy to download and customize, using these forms help you to come up with a residential agreement quickly. You can also see Buy-Sell Agreement Forms.